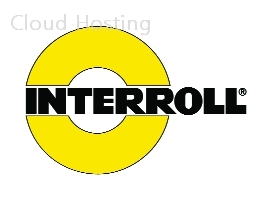 Interroll has chosen Silver Peak to transition its WAN to the Internet as the company works to improve Microsoft Office 365 and SharePoint Online, optimise and centralise access to SAP, centralise the Autodesk Computer Aided Design (CAD) services, and avoid thousands of dollars a month in additional Multiprotocol Label Switching (MPLS) costs. The Interroll Group is a worldwide producer of high-quality key products and services for internal logistics. The company offers a broad product range in the four product groups "rollers," "drives," "conveyors & sorters," and "pallet & carton flow" to around 23,000 customers (system integrators and OEMs) around the world. Core industries are courier, parcel and postal services, airports, food processing industry as well as distribution centres and other industries. Interroll products are in daily use at well-known global brands such as Amazon, Bosch, Coca-Cola, Co-op, DHL, FedEx, Peugeot, PepsiCo, Procter & Gamble, Siemens, WalMart and Yamaha. The company is engaged in global research projects for logistics efficiency and actively supports industry associations in developing standards. 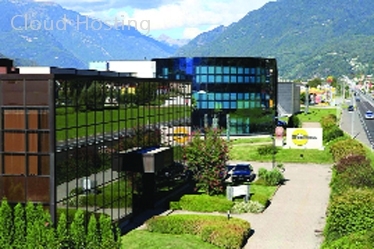 Headquartered in Sant'Antonino, Switzerland, Interroll operates a worldwide network of 31 companies with around 1,800 employees. "With a Silver Peak overlay across our WAN, we were able to connect our offices without a lot of work," said Giuseppe Genovesi, head of corporate IT at Interroll. "Since the deployment, Silver Peak has made a huge improvement to our business productivity and we are able to better service our customers, providing them with a much faster, leaner and more customised approach. The Internet has opened up many doors for our company, and without Silver Peak that would not have been that easy." But as Interroll grew, transferring large design files proved increasingly impractical. Genovesi wanted to centralise Interroll's application services, including AutoCAD, and work on the improvement of centralised SAP access from often distant places in private, regional data centres. But that would have meant an estimated 5-fold increase in MPLS bandwidth and a 30 percent increase in costs. It was not just the economics that made MPLS unsuitable for Interroll, it was also the complexity. The company had embraced Software-as-a-Service (SaaS), specifically Office 365 incorporating SharePoint Online, and Infrastructure as a Service (IaaS) offerings, including Amazon Web Services (AWS) and Microsoft Azure. Directing the cloud traffic across the MPLS backbone was impractical, consuming even more MPLS bandwidth and slowing cloud performance. Instead, Genovesi equipped the offices with direct Internet access. Silver Peak is used to prioritise and direct traffic to the Internet or MPLS network. "The network became too complicated," added Genovesi. "A simple change could take weeks to implement. We needed something far more dynamic." Interroll found a more agile way to improve SaaS and CAD performance over the Internet with Silver Peak. Several WAN companies were considered, but Silver Peak was selected for its flexibility and performance. Silver Peak's virtual approach and subscription-based pricing model enabled Interroll to connect its offices via the most cost-effective source of connectivity available without sacrificing performance. And Silver Peak's unique approach to SaaS optimisation not only improved Office 365 performance, but gave Interroll unprecedented control over their traffic.